The Arcus Table is designed and manufactured in Brisbane, Australia by local industrial designer Charles Wentworth. Arcus Dining, Coffee and Side Table are all part of the sophisticated Arcus collection. The Arcus Table is perfect for outdoor entertaining. Each member of the collection combines durable hardwood with a stylish and sculpted frame. The table is minimalist in essence with a touch of dynamic flair.​ This product is available in a variety of material, colour, finish and size variations. The Arcus Table by Charles Wentworth is on display at the Catapult Design showroom Monday to Friday from 9am to 6pm at Unit 6, Level W2, 42 Wattle Street, Ultimo. Charles Wentworth is a Brisbane based Industrial and furniture designer. His practice is in developing unique furniture that honours the materials and manufacturing techniques used to produce it. Being conscious and aware of such properties allows him to design effective and efficient solutions for a variety of applications. In understanding the requirements of the end user, he combines each of these aspects to ultimately inform the shape, aesthetic and application of the final design. His consistent work ethic and approachable nature make for seamless collaborations and client interaction. Always interested in exploring new ideas, he brings a high level of professionalism and enthusiasm to all avenues of work. See Charles Wentworth’s The Local Project Profile and view his expansive catalogue of Brisbane designed and manufactured products that are available for purchase on The Local Marketplace. The lead time of the Arcus Table designed by Charles Wentworth is 6-8 weeks. Delivery of the Arcus Table by Charles Wentworth is between normal business hours of 9AM to 5PM Monday to Friday. Local pick up can also be arranged from Charles Wentworth’s Brisbane workshop – please get in touch with us at marketplace@thelocalproject.com.au if you would like to arrange local pick up of your product. International shipping of the Arcus Table by Charles Wentworth is available upon request. Please contact The Local Project team at marketplace@thelocalproject.com.au for a quote. 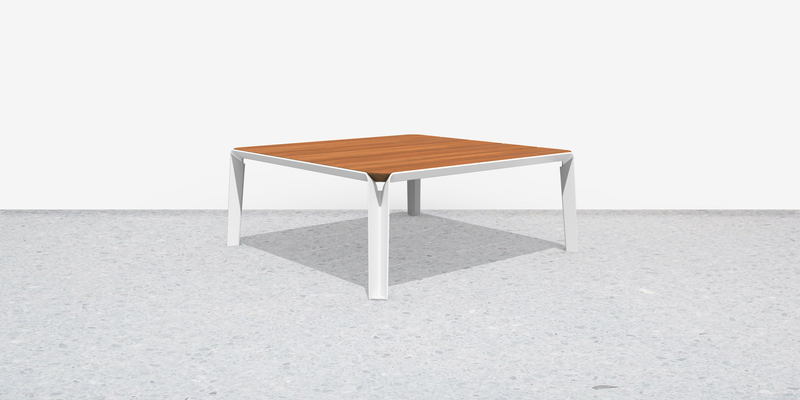 The Arcus Table range is available in a wide variety of material, colour, finish and size variations.